The Bart’s Lavender Beard Oil brought back memories of first using beard oil, I had used some Sweet Almond Carrier oil and added some Lavender essential oil only because that is what I had in the house. I love Lavender, we have several large lavender shrubs in the garden and I love running my hand through them and smelling that sweet floral scent! The Bart’s Lavender Beard Oil has a base blend of Fractionated Coconut Oil, Sweet Almond Oil, Argan Oil and for the price it’s not a bad oil at all. As I said in my previous review for the Bart’s Lime Beard Oil, you get 50ml for £7.99, now for an oil that is made from natural ingredients, that is a bargain! I appreciate that many of the oils that I review are not cheap and I know what it is like to be low on money, normally if guys want a cheap beard care product they look to the high street offerings and they are rarely any good and some are awful and packed with chemicals. So a product like the Bart’s beard oils are great for those on a budget who still want a product that contains natural ingredients. The oil left my beard feeling softer and does what you would want from a beard oil, okay so it isn’t amazing and one that I would shout about but it is a nice budget oil! Now, the Lavender scent. unfortunately it’s a bit too much! As I said I like the scent of lavender but this is quite strong, I guess it is very easy to over do this scent as lavender does pack a punch! I would say though that this would make a great night-time beard oil as Lavender is very well-known for helping you get to sleep, this is because lavender helps to reduce stress and so help you sleep better. 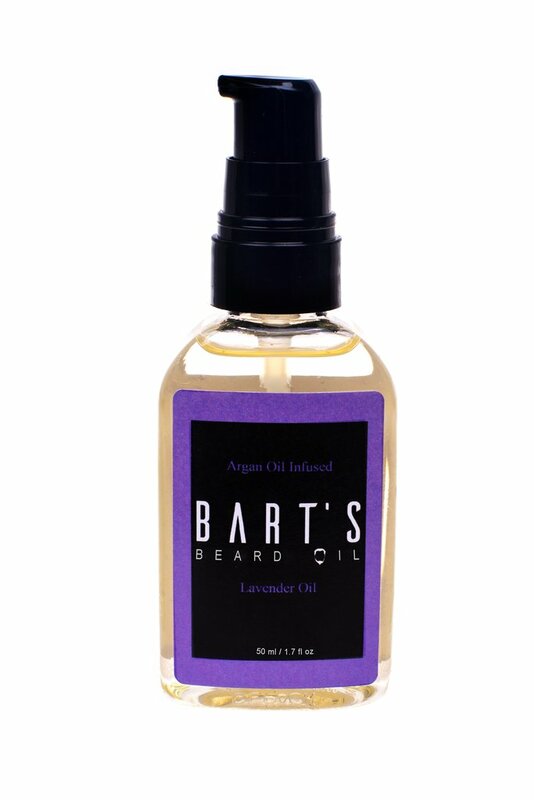 The Bart’s Lavender Beard Oil comes in a 50ml plastic bottle with a pump top to dispense the oil and costs £7.99 from the website.